There are some Christmas traditions that are non-negotiable for a vast majority of people; gifts, excessive spending, eggnog, mistletoe and of course, watching some of your all-time favourite Christmas movies. While everyone has their own personal favourites, I can easily bet that one of those holiday tradition films, thats easily labeled as a ‘required viewing’ for the festive season is the 1966 Boris Karloff TV special How The Grinch Stole Christmas! Growing up and even today, its hard to flip through the channels without catching the original special. Yet, no matter how many times we’ve seen it before, or what part the special is on once you flip onto it, you can sure bet that the special will more than likely be watched until its heart-warming ending. Too bad, I’m sure the same can’t be said with the 2000 live action remake starring Jim Carrey. Luckily, 2018 has brought us a new, brighter and greener Mr.Grinch. 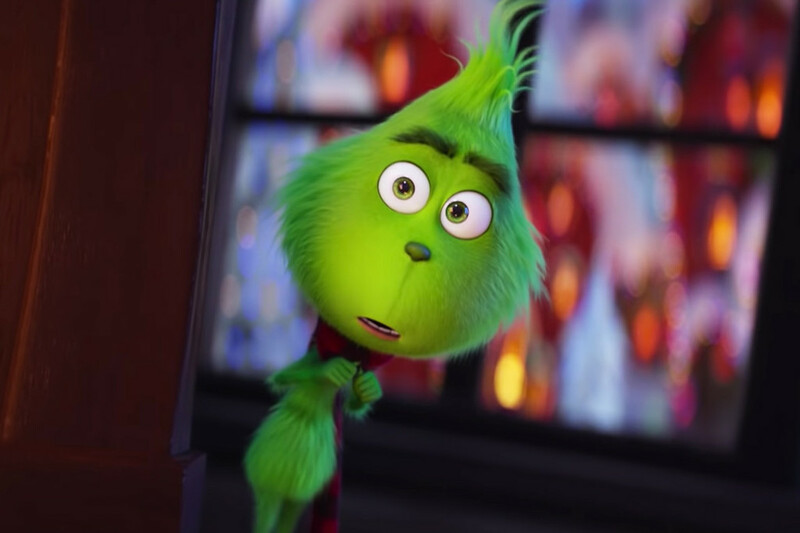 From Illumination, the studio that brought us those adorable little minions we can’t get enough of, The Grinch is a vast, richly coloured, fun and most importantly, loyal addition to the Dr. Seuss canon; proving that sometimes, changing too much of a good thing, isn’t always better. Instead, Benedict Cumberbatch’s newest interpretation of the Grinch is loyal to the Boris Karloff original, channeling his wicked sense of humour, dark and twisted hate of a joyful holiday and its gleeful spirit and most of all, some exceptionally great voice work. While almost everyone knows the basic narrative of the original story, this version pits us in a similar Whoville that we are all used to, but this time, the Mayor of Whoville, Mayor McGerkle (Angela Lansbury, yes the mayor is now a woman) declares Christmas be three times bigger; kind of ironic for a guy who’s heart is three times smaller than the average heart. At an hour longer than the original film, you would think that screenwriters Michael LeSieur and Tommy Swerdlow would dabble deeper into the past of a cute and small little fella, yet, despite brief flashbacks of a baby grinch in an empty orphanage, these questions aren’t really relevant in a child-friendly animation film in 2018 thats main intent is to cash in on cute and memorable commercial products for the 2018 holiday market. Even with very short and quick flashbacks of The Grinch’s Christmasless past, our miserable antagonist cannot seem too shake off these awful memories, no matter how much people around him, including the most cheerful who-of-them-all, The Grinch’s neighbour Mr.Bricklebaum (Kenan Thompson) tries to cheer our foul smelling greenie; nothing seems to glow his cold, cold heart. Although its been over fifty years since the original aired, and almost two decades since the live action remake, there is something special about experiencing such an iconic cinematic character being cherished by children for the first time. Luckily for myself, despite all the genuine laughs, gags and jokes that I found myself chuckling to, one fo the best parts of experiencing The Grinch was hearing the cheers, laugher and questions of the kids around me in the theatre. Asking their parents why he is so mean, why is our titular character is so green when everyone is ‘normal’, and if the movie is done with every fade out. Despite the endless kicks to the back of my seat from the youngster behind me, nothing melted my heart more than hearing their little chuckles with every thrown snowball and sight-gag involving The Grinch. Illumination, who luckily decided to really modernize the original story, and add its signature flare of whacky colours, vibrant animation and silly humour, does a fantastic job of staying true to the original, without ever compromising the fresh and radiant look of this 2018 version. Keeping many of the original characters was also a great choice, including the girl who challenges the grumpiness of favourite animated Scrooge, Cindy Lou Who (Cameron Seely), as well as, one of my loyal favourites, Max, the Grinch’s trusty yet sweet and loyal sole companion. Max warms your heart with each smile, wag, bark, drool and use of his powerful puppy-eyes. Yet, while the 2018 Grinch is a faithful interpretation, there are a few additions that we cannot help but fall in love with, including a yack-like looking reindeer Fred. Fred may be a tad overweight, have a slight obsession with whipped cream and pretty well eat anything in his sight (including Grinchie’s hair), Fred is a fantastic addition to the world of Dr.Suess, especially this adaptation of The Grinch. 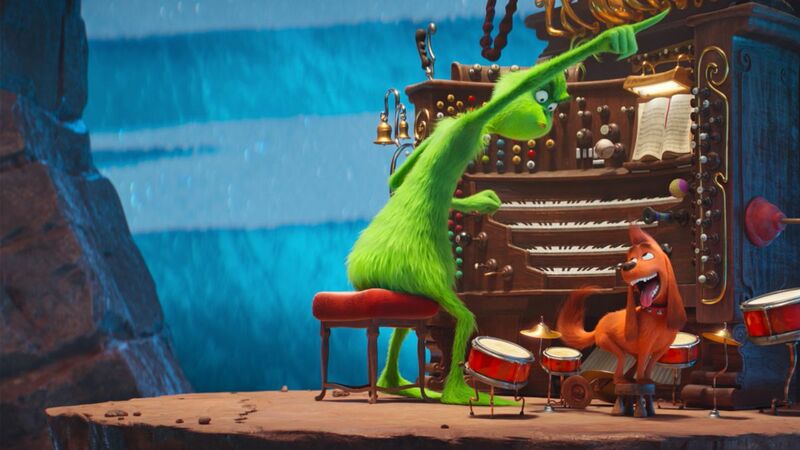 Along with Max, the two front-runners to guide the Grinch’s sleight that night, give the audiences the majority of the laughs to a newly vamped up Christmas classic. While The Grinch’s message of warmth and wonder is simple and never really changes between fifty years and three adaptations, it seems like each and every year, all of us need a real reminder of what the holidays are all about. 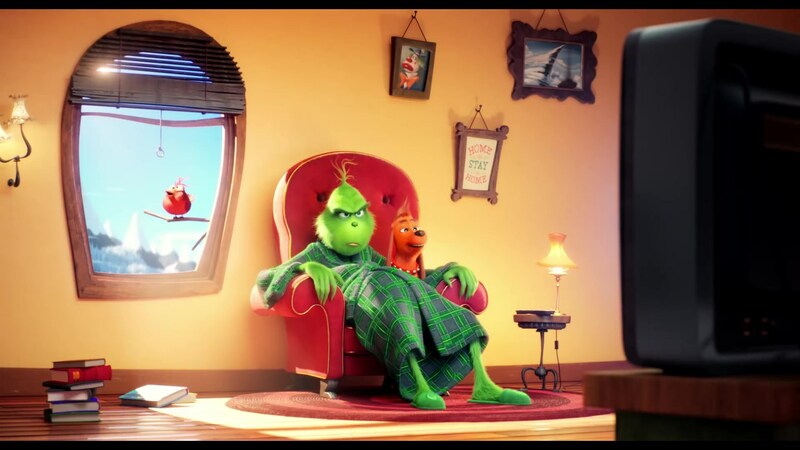 Changing the ending slightly to fit in a much more grounded and relatable holiday setting, especially for children, 2018’s The Grinch is a warm and welcomed addition to our holiday traditions. Will this film version of The Grinch be part of your holiday season required viewings? How does it stack up to the first two adaptations of our favourite green Christmas character? What did you think of Cumberbatch as the voice of The Grinch? Leave your comments below, but for forget to take your crumbs with you! This entry was posted in Reviews and tagged Angela Lansbury, Benedict Cumberbatch, Cameron Seely, Danny Elfman, Dr.Seuss, Film Reviews, Kenan Thompson, Michael LeSieur, Movie Reviews, Night Film, Night Film Reviews, Pharrell Williams, Ramone Hamilton, Rashida Jones, Sam Lavagnino, Scarlett Estevez, Scott Mosier, The Grinch, Tommy Swerdlow, Tristan O'Hare, Yarrow Cheney. Bookmark the permalink. I saw this review over on IMBD and could not believe the number of glaring typographical errors. SIX in the first paragraph alone. If you want to become a professional film critic, if I were you, I’d take a basic writing course. We’d love to see what six glaring typographical errors you’re referring to.